Introducing Winsor & Newton new water colour papers: the finest papers designed to match the high performance standards of our water colour paints. Exceptionally resilient and durable, our new range of papers have been developed with strength at their heart. This look book presents our new water colour paper range and explains how these papers are made, why you can be sure you're selecting the finest papers for your artwork and how your paper can be best used to achieve the results you envisage. Experience and explore the true art of water colour paper by discovering the Art of Making, the Art of Selection and the Art of Creating. Water colour paper plays a key role in water colour art. Its look, feel, construction and quality all have a vital part to play, impacting the finished work of art. And so, as with many things in life, choosing the very best papers you can find is an important part of the creative process. In this short film, boundary pushing, innovative water colour artist William Tillyer shares his experiences. Find out what he looks for when choosing the best water colour paper for his artworks. William Tillyer is a celebrated British painter and water colourist, whose work has been frequently shown in London and New York since the 1970s. Tillyer was born in Middlesbrough, and studied painting at Middlesbrough College of Art. He then went on to study at the Slade in London. He began to make radically experimental work which raised questions about the relationship of art to the world, and of man to nature. The 1970s saw Tillyer return to printmaking with renewed vigour, using a variety of techniques from etching to five-tone screenprinting, to create lattices that Pat Gilmour, Head of the Print Department at Tate, described as "a cool and unpeopled world... in which to reflect the surrounding flux of nature. 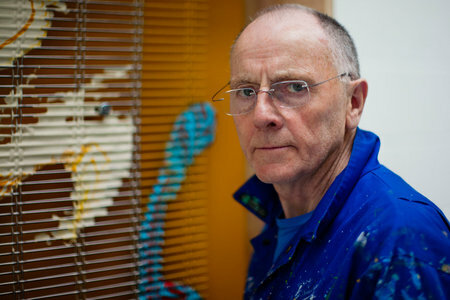 "Tillyer has exhibited internationally, and his work can be found in the collections of major institutions including the Arts Council of Great Britain; the Brooklyn Art Museum, New York; Fort Worth Art Museum, Texas; Middlesbrough Art Gallery; MOMA, New York; The Art Gallery of Western Australia, Perth; Tate Gallery, London; and the Victoria & Albert Museum. At Winsor & Newton, we've been creating the world's finest art materials for almost two hundred years. And with all of those years of professional excellence and artisan craft comes a passion for innovation. To constantly evolve and find new solutions while retaining the very best traditional techniques and processes. Our new introduction of Winsor & Newton water colour papers is testament to this commitment to art and science; creative and technical excellence; heritage and modernity. Choose greatness by creating your work using one of our two premium-tier paper ranges: Winsor & Newton Professional 100% cotton or Classic archival grade cellulose wood pulp water colour paper. 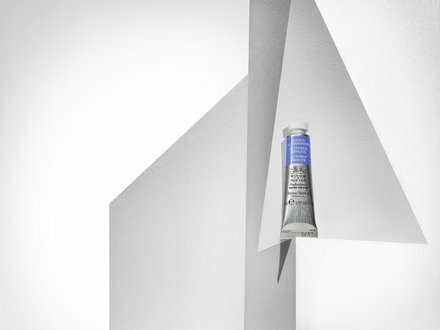 With strength and durability being a mark of quality in water colour paper, both ranges benefit from internal and externalsizing which perfectly manages water absorption and ensures a resilient surface that won't cockle or warp. This makes both ranges ideal for water colour, gouache, ink and acrylic. Designed with a fine artist in mind, our Professional 100% cotton is an exceptional paper that looks and feels handmade. The length and quality of the cotton fibers we use give the paper its luxury feel and result in superior strength and durability making these the superior choice for the finest of artworks..
Our classic range is a more affordable yet still exceptionally high quality alternative to 100% cotton. Made of high quality archival grade cellulose wood pulp and natural spring water, these papers are ideal for professional artists as well as amateurs and students. 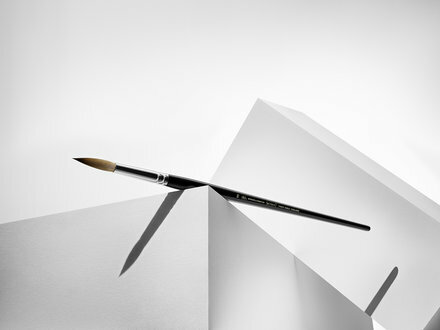 Choose greatness: great quality paper requires the best tools to go with it. Our papers have been developed alongside Winsor & Newton Professional water colour paints and sable brushes for best results.